Huihui Yang successfully completed her PhD trial lecture and thesis defense at the University of Agder on Tuesday, the 28th of June 2016 and will be awarded the degree of Doctor of Philosophy. The title of her thesis is “Cryptographic Enforcement of Attribute-based Authentication” and the given topic for her trial lecture was “Security in cloud storage”. There are currently a lot of cloud-based services, such as cloud storage, cloud computing and data outsourcing. Consider Dropbox, one of the most popular cloud storage applications via which users can create special folders on their computers and save files within. Later, users can access these files from elsewhere, like mobiles, iPads or other computers. In addition, users can share files saved in Dropbox folders with other people. Cloud users can also employ cloud resources to perform complicated calculations. When utilizing cloud facilities, on the one hand, cloud users wish to keep their data safe and undisclosed from other Internet users and even service providers. On the other hand, users may also need more fine-grained control over their data, for example in term of how the data can be accessed. To better protect users’ privacy, attribute-based authentication (ABA) offers a more privacy-preserving means of authentication in different access control systems. ABA is an approach of authenticating users according to their attributes, including name, address, phone number and age. By using attributes in place of users’ identity information, ABA presents anonymous authentication, or more specifically, ABA enables keeping users anonymous from their authenticators. In addition, the property of least information leakage provides superior protection of users’ privacy over popular public key-based authentication approaches. This property makes it possible to apply attribute-based authentication schemes in privacy preserving scenarios, like, cloud-based applications. The main focus of this dissertation is to investigate on the cryptographic implementations of ABA schemes, or ways to construct different types of ABA schemes according to various security requirements. In a traceable ABA scheme, normal users cannot acquire any information about the identity of a signer given their signature, but a special authority is necessary to trace the signer’s identity. On the contrary, neither normal users nor authorities can reveal signers’ identities in an untraceable ABA scheme. Based on these two types of basic ABA schemes, hierarchical schemes can be achieved in combination with a hierarchical structure of users or attributes. By using hierarchical ABA schemes, a more flexible and fine-grained authentication and access control approach feasible. First opponent: Professor Valtteri Niemi, Department of Computer Science, University of Helsinki, Finland. Second opponent: Professor Chunming Rong, Faculty of Science and Technology, University of Stavanger. Professor Ole-Christoffer Granmo, Univeristy of Agder, was the administrator for the assessment committee. 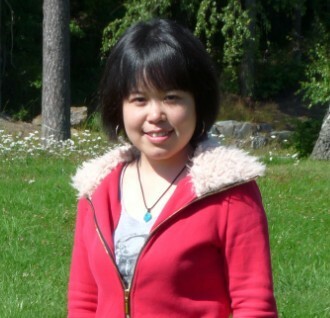 Huihui Yang carried out her PhD work at the Faculty of Engineering and Science, Univeristy of Agder, Specialisation in Information- and Communication Technology (ICT). Her supervisor has been Professor Vladimir Oleshchuk, University of Agder, while co-supervisor has been Associate Professor Geir Køien, University of Agder.